Cancer is a leading cause of death worldwide. With up to 70% of new cases predicted to occur in the developing world, finding affordable and effective cancer preventive agents for global use is critical. Dr Elizabeth Ryan, from the Department of Environmental and Radiological Health Sciences in the College of Veterinary Medicine and Biomedical Sciences at Colorado State University, has been working on precisely this. Her team’s goal is to prove the disease-prevention efficacy and mechanisms for whole foods in people that have supporting evidence for protection against colon cancer in animals. Why Foods for Cancer Prevention? In rich countries, groups of patients who are deemed to be at high risk of cancer are treated with expensive and toxic drugs, including non-steroidal anti-inflammatories and tamoxifen. However, these drugs are not viable options for use in developing countries and there is a clear and urgent need for affordable and effective alternatives. There is wide recognition that consuming some types of food, more specifically including fibre-rich whole grains and legumes, is associated with a reduced risk of cancer. The American Association of Cancer Research and the World Cancer Research Fund estimate that up to an astonishing 40% of cancers are preventable by eating an appropriate diet and controlling body weight. For global use, these foodstuffs are both safe and low cost in comparison to developing conventional cancer preventive agents, and as such, are attractive options. Dr Ryan’s team have focused their attention on rice bran and navy beans to determine how effective such foodstuffs are in the prevention of cancer, and to define the mechanisms by which such effects may be induced. There are many scientific studies demonstrating that fibre from whole grains is associated with a lower risk of colorectal cancer. While brown rice is the whole grain, much of the world consumes processed white rice. This is unfortunate, as the cancer-preventing compounds have been identified in the rice bran fraction of brown rice. Dr Ryan and her team reported in their 2012 review paper that the vast majority of compounds found in rice bran have at least some published evidence supporting a cancer protective mechanism of action. Importantly, the team’s 2012 review looked at many types of cancer, including colon, gastric, breast, bladder, and liver cancer, and others. The studies were primarily based on animal models or cell cultures, rather than humans. Notably, testing in cell lines has been found to be especially useful in identifying the specific components of rice bran that produce an anti-cancer effect as well as in exploring the precise mechanisms of action. The number of potential anti-cancer compounds present in rice bran enhances its value for cancer control and prevention. Cancer preventive compounds can inhibit malignancy at many stages of cell proliferation and stop progression towards cancer directly or via activation of the immune system. For example, rice bran compounds were shown to stop uncontrolled growth of cells and correspondingly increase the rate of death of fast growing, preneoplastic cells. In the environment surrounding the cells, the rice bran components can also reduce the damage caused by oxidation and protect against cellular damage. These compounds have also been shown to directly manipulate the immune system, reducing damaging inflammation and boosting anti-cancer immune cells. Furthermore, they act directly on the gut, to improve production of a protective layer, enhance beneficial bacteria growth and bacteria metabolism, and minimise harmful enzyme activities. The number of individual components of rice bran that have been shown to have an effect on cancer development and growth is considerable and using the full fraction (rice bran) that contains a multitude of diverse phytochemical agents is likely to be more effective than extracting single compounds from the whole grain. Both navy beans and rice bran are known to reduce cholesterol in adults, and subsequently reduce the associated risk of cardiovascular disease. However, Dr Ryan and her team investigated the cholesterol-reducing effects of these wholefoods in children and reported on the outcomes in 2016. Children who had previously shown abnormal lipid profiles were later found to show improvements in plasma lipids following increased fibre intake with rice bran or navy beans. The results of this pilot study showed that children tolerated the increased fibre well. While the results of blood cholesterol tests were not conclusive over the 4-week time period alone, there was an indication of improvement with regards to an increase in high-density lipoprotein cholesterol – considered the ‘good’ type of cholesterol in children consuming a cooked navy bean powder daily (equivalent to ~1/4 cup cooked navy beans/day). The researchers point out that longer-term work is now needed to accurately determine the effects of navy beans and navy beans combined with rice bran on cholesterol levels in children at risk for cardiovascular disease. 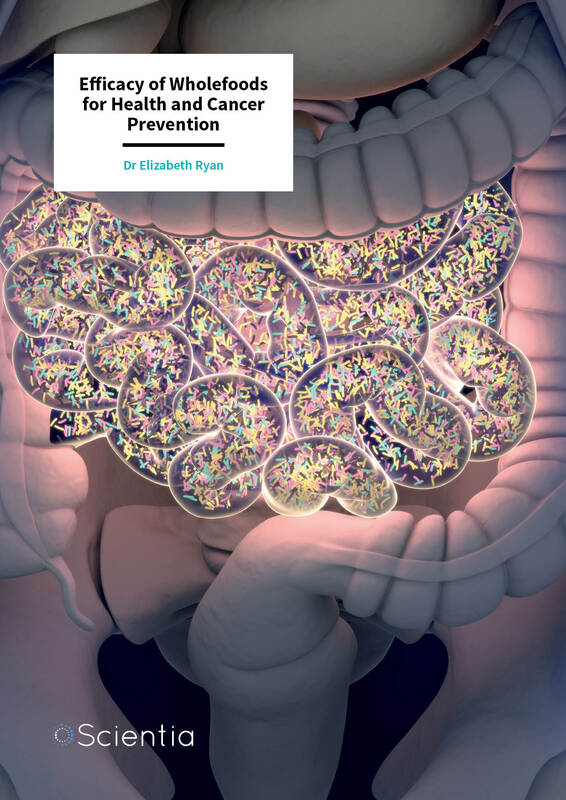 It is widely accepted that the diets of colorectal cancer patients are low in fibre, and a number of studies have demonstrated protective functions for both rice bran and navy beans. Dr Ryan and colleagues conducted a clinical trial in 2016 that identified the effects of these compounds in patients who had previously suffered from colon cancer, hoping to determine the tolerance and effect of consuming cooked navy bean power and a heat stable form of rice bran. Over the 4-week pilot study, the team found that the participants were able to tolerate levels of fibre from both the navy bean powder and the rice bran that have been shown to prevent colorectal cancer formation. In addition, they found significant changes in levels of a number of vitamins and minerals, including iron, zinc, thiamine, vitamin B6, folate, and vitamin D.
The researchers note that the American Institute for Cancer Research does not recommend increasing intake of vitamins and minerals for cancer treatment; however, where the increase occurs as a result of improved fibre intake, this could work to enhance the benefits for both colorectal cancer patients and the general population. While this study was fairly short in duration, the researchers found significant changes in a number of key biomarkers, indicating improvements in colon health. Finally, they concluded that a longer-term study was needed to provide definitive evidence of the benefits of consuming these whole foods to prevent reoccurrence of cancer. An emerging and important area of science is personalised medicine, the ability to tailor a treatment for a patient-specific disease or condition. Scientists know that the ‘same’ cancer can demonstrate quite different profiles in individual patients. Dr Ryan and colleagues conducted a study in 2016 to define the biomarkers that are associated with colorectal cancer in a group of patients. Using the emerging science of metabolomics – the study of metabolic products and chemical processes involving metabolites – they sought to define the small molecules present within samples extracted from colorectal cancer patients, from both the cancerous and nearby healthy tissue. Defining these metabolic pathway changes in colorectal cancers is vital to develop a quick, accurate, and informative diagnostic assay. In addition, this information may also help with treatment decisions. The team identified five metabolites that are significantly increased and fourteen that are significantly lower in colorectal cancers compared to the healthy mucosal tissue. Further study of the metabolite profiles indicated a number of pathways associated with these changes. Investigating stool samples from the same patients, the team found an overlap of only seven metabolites across cancer, stool, and mucosal samples. 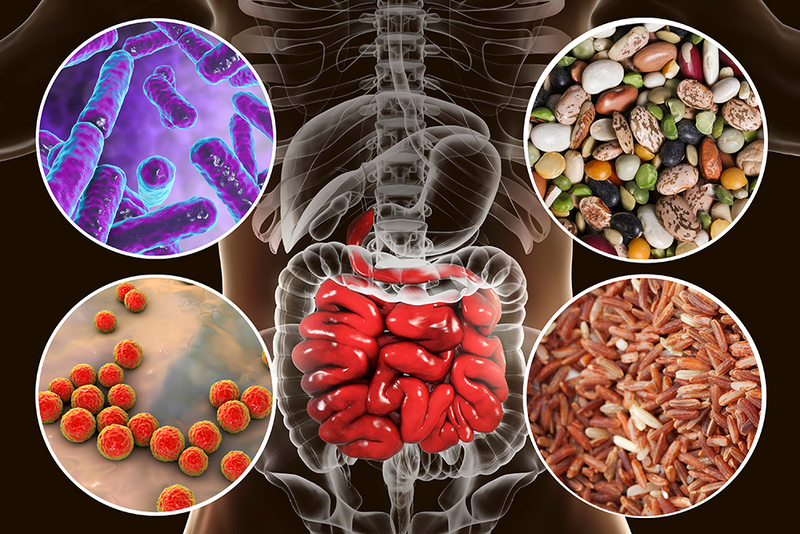 Abberrant regulation of metabolic pathways involving amino acids and lipids were also identified in larger cohort studies in association with gut microbiome analyses. Rice bran and navy beans were found by this team to alter the microbes and the metabolism by the microbes found in the stool, and the team proposed that consumption of rice bran or navy beans leads to a metabolite profile in the stool samples that reflects good gut health and reduced likelihood of colorectal cancer progression. At the end of a 4-week study, the team found 93 metabolites that were significantly different in patients who consumed rice bran compared to their own baseline measures and 39 metabolites which were significantly different compared to the control group at the end of the study. When navy bean powder was consumed daily, there were 30 metabolites that changed from baseline and 26 metabolites statistically significant for differences from a control group. In this group of colorectal cancer survivors, consumption of rice bran or navy beans favourably altered the stool metabolite content, indicating the benefits of reduced likelihood of cancer recurrence in these patients. The differences in the metabolite profiles in patients who consume rice bran or navy beans are substantial and distinct. However, given the known variation in levels of different compounds in different types of rice bran, Dr Ryan and colleagues recently conducted a series of tests to determine the metabolites present across seventeen different strains of rice that had been sourced globally. They found variation in 71 compounds across the 17 types of rice bran, including amino-acids, carbohydrates, co-factors, vitamins, lipids, nucleotides, and secondary metabolites. Of the 71 detected differences, the team was able to link 34 of them to specific rice genes. The various metabolites found in rice bran include compounds that are anti-inflammatory, anti-oxidant, nutrient enhancing, cancer-preventing, anti-diabetic and have cardiovascular-health promoting actions. The researchers believe that understanding the genetic-basis for metabolite production across the different types of rice will inform the cultivation of plants that are optimised for specific health-giving benefits, both from a nutritional and medicinal perspective. Dr Ryan and colleagues ascertain that a greater focus on improving public health messages and public awareness of the benefits of wholefoods that are widely available and low cost is necessary. They also propose that continued advancement in the field of metabolomics to identify key compounds, pathways, and related genes in wholefoods, and in the cancerous and normal tissue that impact on (or change) a disease state, are critical to improve clinical outcomes for a wide range of health conditions. 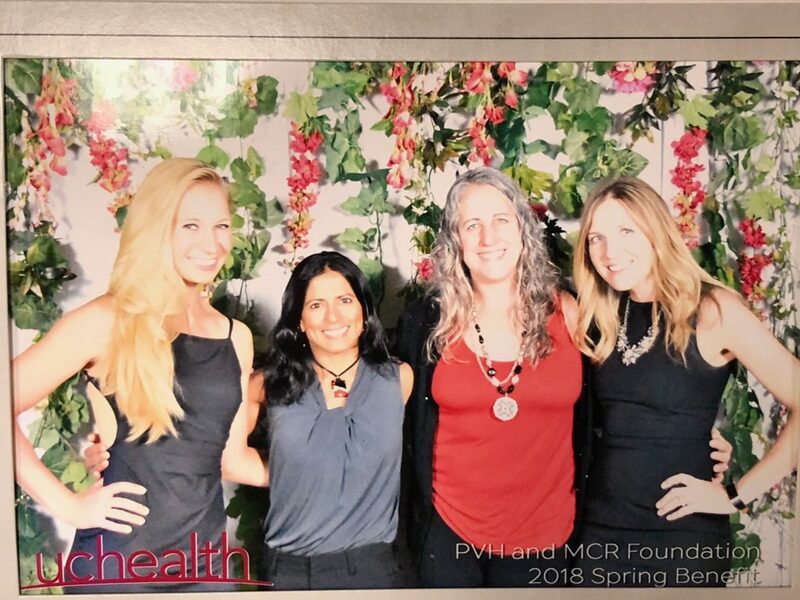 This team is committed to providing scientific evidence for whole foods with respect to disease prevention as the primary outcome. Dr Elizabeth Ryan received her PhD in Molecular Toxicology and Environmental Medicine from the University of Rochester in NY, USA, in 2006. 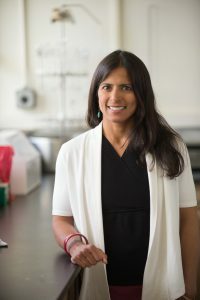 After several positions at Colorado State University, she secured an associate professorship there in 2016, where she now collaborates across disciplines to fulfil her research aims focussing on food component interactions with gut microbiota and the immune system, specifically for cancer detection and prevention. Dr Ryan’s research embraces a multiplatform approach, incorporating molecular testing, animal models, and human clinical trials. Dr. Ryan holds concurrent placements at the Colorado School of Public Health and the University of Colorado Cancer Center. Among many other accolades and achievements, in 2015 she won the Colorado State University Emerging Individual Interdisciplinary Scholarship Award. I Zarei, et al, Comparative rice bran metabolomics across diverse cultivars and functional rice gene–bran metabolite relationships, Metabolites, 2018, 8, pii:E63. G Dustin, ECB Brown, RJ Brown, EP Ryan, Heat-stabilized rice bran consumption by colorectal cancer survivors modulates stool metabolite profiles and metabolic networks: a randomized controlled trial, British Journal of Nutrition, 2017, 117, 1244–1256. EC Borresen, et al, A pilot randomized controlled clinical trial to assess tolerance and efficacy of navy bean and rice bran supplementation for lowering cholesterol in children, Global Pediatric Health, 2017, 4, 2333794X17694231. EC Borresen, et al, A Randomized controlled trial to increase navy bean or rice bran consumption in colorectal cancer survivors, Nutrition and Cancer, 2016, 68, 1269–1280. DG Brown, et al, Metabolomics and metabolic pathway networks from human colorectal cancers, adjacent mucosa, and stool, Cancer & Metabolism, 2016, 4, 11. AJ Henderson, et al, Chemopreventive properties of dietary rice bran: current status and future prospects. Advances in Nutrition, 2012, 3, 643–653.